We use high quality carbon steel. It is marked with higher level of purity than alloy steel, in particular when it concerns the content of non-metallic substances. 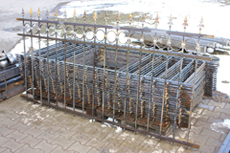 This type of steel is excellent for manufacture of products destined for hot-dip galvanizing. 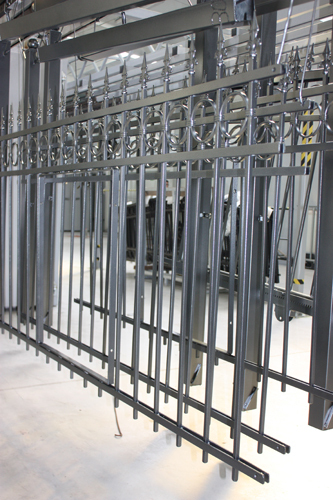 We apply MIG/MAG welding technology to weld constructions. 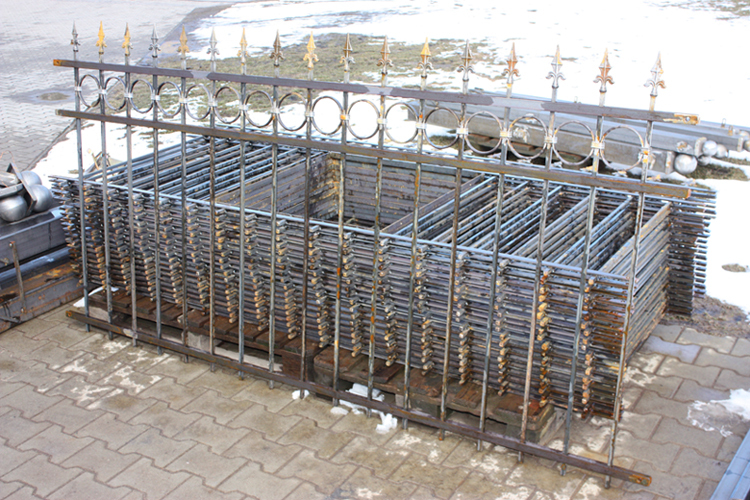 This is a technology recommended for raw-materials we use for the manufacture of our fences and gates. The process consists in melting the welded material with the consumable electrode by means of the arc discharge that occurs between consumable electrode and welded material in an areola of inert or active gas. Hot-dip galvanizing is one of the best anti-corrosion protection of elements made of metal and its alloys. 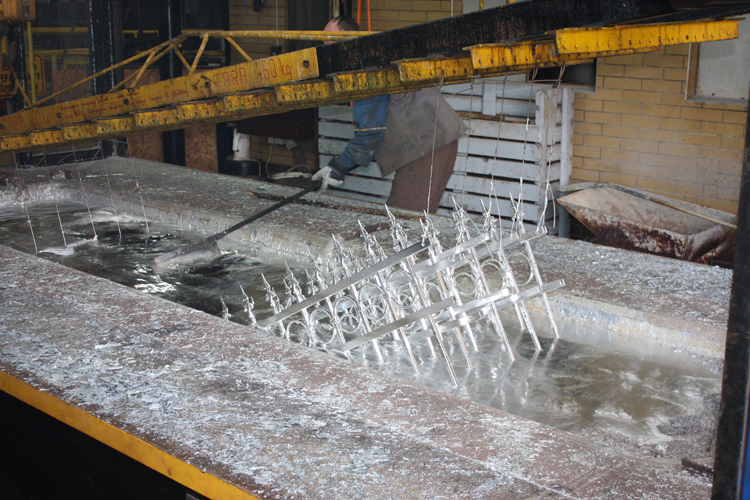 This is a process of mechanical coating steel with a permanent zinc layer. The steel elements are dipped in liquid zinc of a approximate temperature of 450 Celsius degrees. The zinc layer covers all internal and external surface of the elements and it prolongs the durability of anti-corrosion protection of steel construction with 20 to 70 years depending on the environment. The coating may be silver or grey. Powder coating is a modern technology of coating metal with paint which is heated by high temperature. 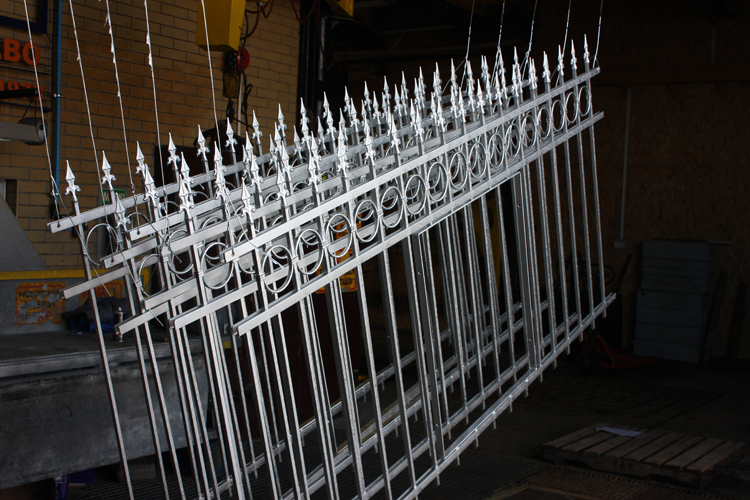 This is a dry finishing process using finely ground particles of paint (pigment and resin) in a colour, structure and type selected by a customer, that are electrostatically charged and sprayed onto electrically grounded parts. 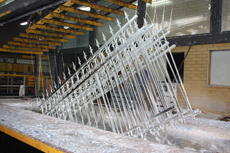 Then, the paint is heated in some special oven chambers in a approx. temperature of 200 Celsius degrees. 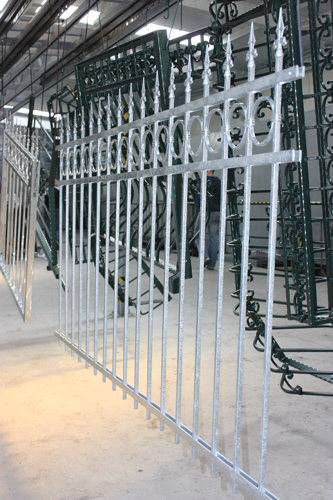 The powder coating is carried out with the use of epoxy, polyester-epoxy and polyester paints in a full range of standard RAL, DB and other paints, such as antique patina paints on the customer's request. 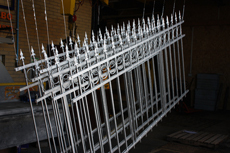 The surface of metal element finished with powder coating technique guarantees high esthetics on a long-term basis, mechanical durability and resistance to sun and UV rays as well as unfavourable weather conditions. In addition, the surface is free of any sags and wrinkles.